Just wanted to pop in here and tell you that my publisher rocks! Why? Well, because they accepted two more manuscripts from yours truly. 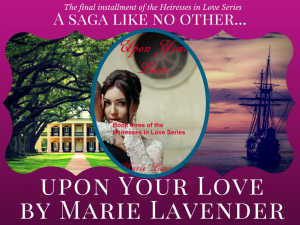 Upon Your Love is the third and final book of the Heiresses in Love Series.